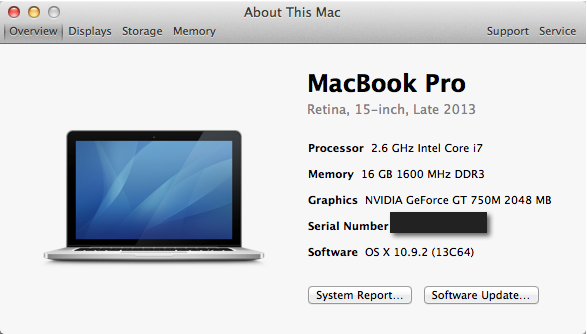 Its been several months since I moved from the Windows world to the MAC world (at least at home). But until today, one of the things that annoyed me a lot was the fact that everytime I dragged and dropped a website URL to my desktop to access it later, a .WEBLOC files was created. These files are compatible with Safari Mac Browser, but Windows doesnt know what to do with them. I needed a solution to be able to open the shortcuts of pages I create with both Windows and Mac computers. 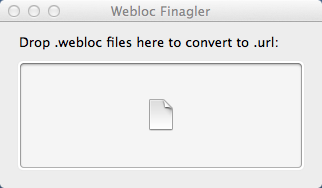 So after searching online I found this post on Apple Forums, where a good samaritan called MarkDouma created a free little application called Webloc Finagler for OSX to just drag and drop the Webloc files and the app will convert them to .URL files. The created files will be pointing to the same website and fully compatible with both OSX and Windows :). You can download the little App for free from this direct link. 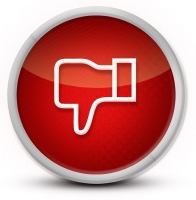 One more time, Apple decided to go out from a widely used standard and create their own. If Apple really wants more people on board, they have to makes easier for Windows users to feel tempted on migrating. I am in favor of creating new standards if they actually are better, but you cant ignore what already exists, it must be backwards compatible too. Sometimes you want to paste a captured image with Snagit into a Gmail new mail and you just see an empty box instead of the image. 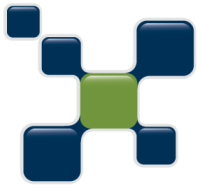 The problem is the depth of the image captured by Snagit, and here is how to fix it. In Snagit Editor (while watching the image you captured and can’t paste in Google Mail), go to the tab “Image” and then go to “Color Effects” then choose “Color Depth” and then change the drop down menu to “True Color 24 bit”. Now you should be able to paste the images without any trouble in Gmail. Go to the capture profile settings, choose the little arrow beside “effects” and then go to “Color depth” and choose “Custom color depth“, set it as “True Color 24 Bits” and to end click Ok.
From now onward, every image you paste in Google Mail will work. 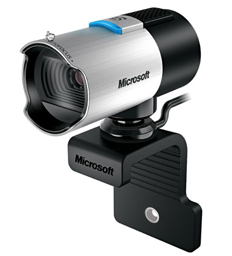 I was struggling with my Microsoft Lifecam Studio webcam because it was not working properly. I have a Retina MacBook Pro 15″ (late 2013) and I test the camera with the PhotoBooth app on Mavericks. All I was able to see was a super burned white-colored image. After researching online for solutions I came across this program on the App store that costs USD 8. I must say, it was worth it, because from the moment I installed it, the problem was solved. Now I am able to use my camera without any troubles. Yesterday I purchased a Dell U2713HM a 27″ display that gives me up to 2560×1440 resolution. I connected it with an HDMI cable to my Retina MacBook Pro 15″ (late 2013). At first it didn’t work as expected, and I was getting “only” full HD resolution, I knew this was a possibility because I was not using the correct cable. You need a Mini Displayport to Displayport to get the full possible resolution, I purchased the cable but didn’t arrive yet. I was getting a strange resolution, and then I was able to get full HD again, the most, but not the full juice. I started reading online and found a lot of suggestions, unplug, restart, reset SMC and more. I realized my laptop was almost new, and I could call Apple support. So I did, but unfortunately Daniel, the support representative was as lost as me. 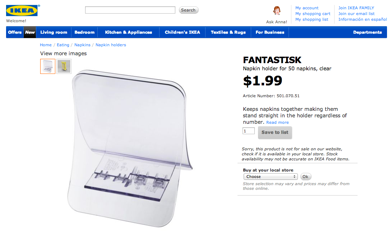 While he put me on hold (he was asking somebody else), I found the solution online. It seems the EDID (Extended Display Identification Data) in Mavericks was not right for my new monitor (I also read this solves the problem for other Dell Models U2711 & U2713H). 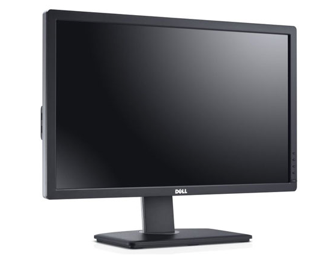 Fortunately, from this link (I also made a mirror here just in case) I could download a ZIP file which contains the correct EDID for these Dell monitors. I just download the file, and uncompress it. Then copy the folder to the following path: /System/Library/Displays/Overrides. Then restarted and the display will work as it should have the first time, full 2560×1440 no problems! Note: In my case, I got a bad start first, and then the computer started correctly so everything was ok. I’ve noticed it took a couple more seconds than what a normal reboot would take. Just when OS X was restarting, Daniel (the Apple supporter) came back to me. I explained him what I just did and he was surprised of the solution. I gave him the information and he told me that he will report it so the engineering team can prepare an update for Mavericks. For the time being, you have the tip here, hope this can solve your problem the same way it did for me. Now, I am enjoying full resolution on my 27″Dell screen :). I discovered this today and its very useful, so I decided to share it with everybody. Till now I was able to insert an image in whatever region of a Google Spreadsheet by going to “Insert” > “Image“. But this wasn’t fixing the image to the cell you wanted to place the image to. 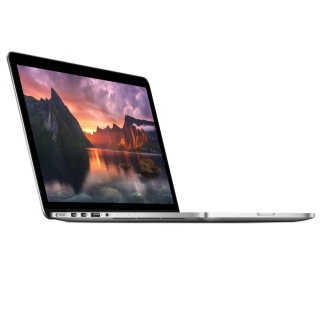 I purchased the latest MacBook Pro retina in November 2013, its the 15″ version which has two video cards on it, an Intel Iris and an Nvidia 750M if I recall correctly. Its nice to have two video cards because you can do more graphic hungry stuff without having to use another computer, but there are times where you really need as much battery as possible, and you don’t want any application to trigger the power hungry Nvidia 750M.